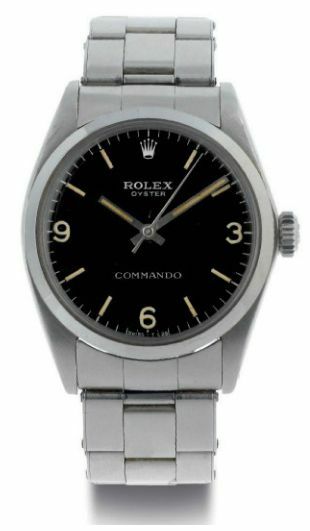 Rolex Commando Ref.6429 - Extremely Rare, Worth The Risk? 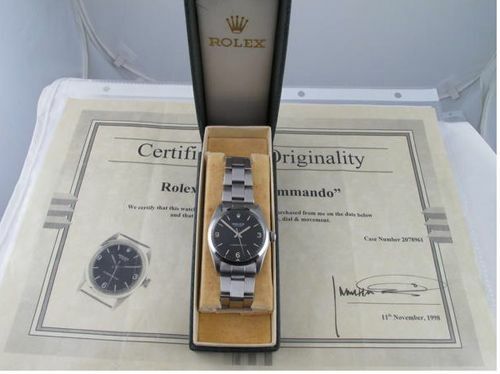 Rolex Commando Ref.6429 – Extremely Rare, Worth The Risk? Another Rolex this week, but this time a vintage and extremely rare model, the Rolex Commando ref.6429. We actually didn’t hear about it before until our friends from Hodinkee blogged about it in 2009. A fellow watch enthusiast and collector from Singapore reminded me about it last week and that he’d seen one for sale on eBay (which got pulled off rather quickly again). Although Christie’s – who auctioned a few – claims them to be produced in 1967, but Hodinkee is pretty certain it was produced in 1972 and only in 1972. The last one Christie’s sold for $25.000,- USD in December 2010 (click here). They must have indeed been very limited in production, since every model we’ve encountered has very close serial numbers. Similar to the vintage Rolex Explorer 1016, but different in a number of ways. The movement for starters, isn’t a self-winding caliber but a hand wound caliber 1225 instead. With a size of just 34mm it is closer to an Airking or regular Oyster Perpetual in stainless steel. The dial has similarities with the Explorer 1016 as well, but the hands are different. Anyway, it makes an Airking or Explorer from that period of time easy to modify to an extremely rare Rolex Commando. That’s for sure and probably that’s what happened at the eBay auction, although that’s a wild guess. Please consider using the generic rule here: if it looks too good to be true, it probably is. Simple but very effective to keep your money [or investment] safe. Make sure, if you want to look out for an all original and authentic Rolex Commando, that you can rely on the seller’s experience and expertise. In Munich, at Chronometrie Pietzner they have one for sale at the moment. Price only on request, but expect to pay a lot of these vintage and rare Rolex Commandos.